Yes, Aluminum Padlocks and padlocks do go together and they can be secure. You are most likely to see these padlocks in use for what is called lock out padlocks. They would come in multi-colors and lock like a traditional padlock. But what about the Hockey Puck Padlock or PUCK Padlock, these are traditionally made of hardened steel and that will continue. However there are now some Puck padlocks in which the body is made of aluminum. 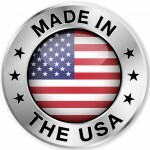 We have these new USA made Aluminum Padlocks at LsiDepot.com. The body of these padlocks starts out with solid aluminum billet, they then are milled usually by a very high tech CNC machine. From there either a protective clear coating is added or a color coating is added. Some anti-drill pins would be added, depending on the type of padlock. From this point on the remainder of the Aluminum Padlock is assembled as if it were steel. 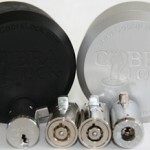 A Cobra Universal Puck Aluminum Padlock could be combined with either an Abloy or Medeco lock cylinder to provide a padlock with high security lock cylinders. With the Cobra’s patented puck padlock the user can change the lock cylinder depending on where it is being used. If an Abloy lock cylinder was used with the Cobra aluminum body you will have a complete Puck Padlock that will provide extreme environmental protection. Check out our NEW Aluminum Padlocks at Aluminum Padlocks.